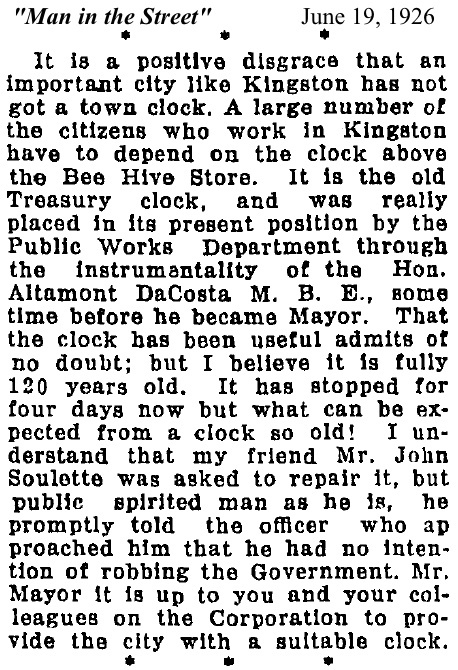 The history of the "Treasury Clock," as it is known far and wide, is briefly as follows: The clock was made by Thwaites of London about eighty years ago, and was originally erected on the old House of Assembly in Spanish Town. 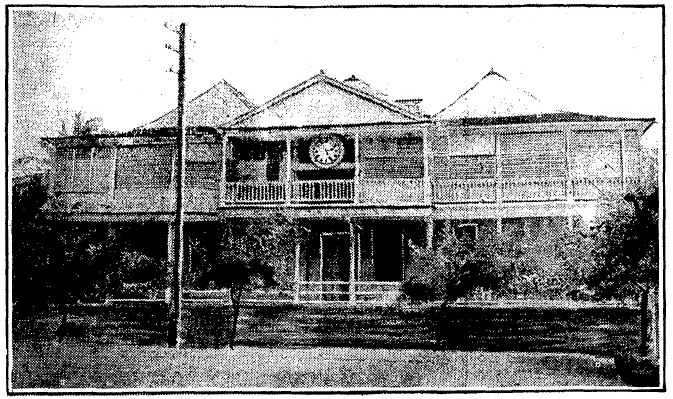 It was brought over to Kingston and erected on the old Treasury Building, during the Governorship of Sir John Peter Grant, who arrived in Jamaica in the year 1866, the actual transfer from the old to the new metropolis being somewhere about 1870. 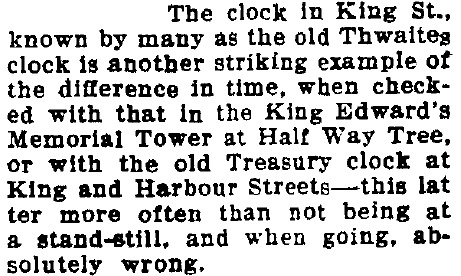 It is interesting to note that the clock passed through the great conflagration in Kingston, known as Feurtado's fire in the year 1882, and also through the fire and earthquake of 1907. 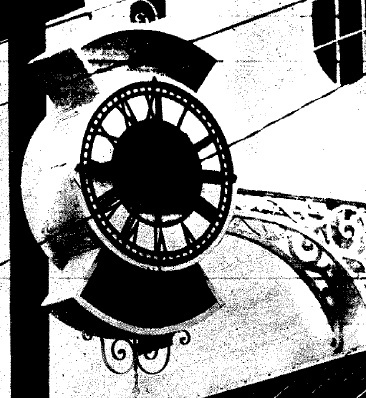 In the 1882 conflagration, it was slightly damaged, requiring minor repairs, such as the replacing of the hand which got broken. 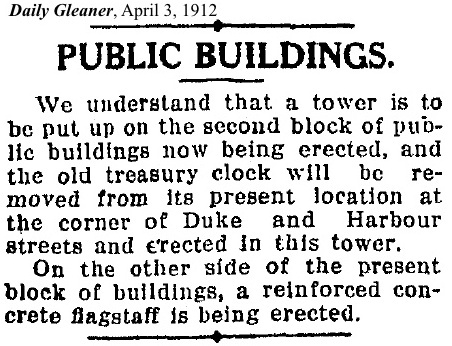 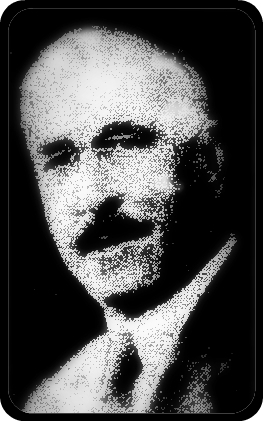 In the 1907 disaster it escaped without any injury at all. 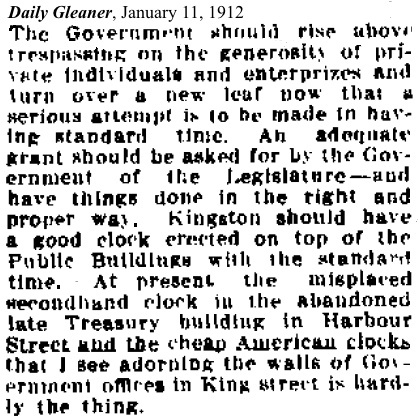 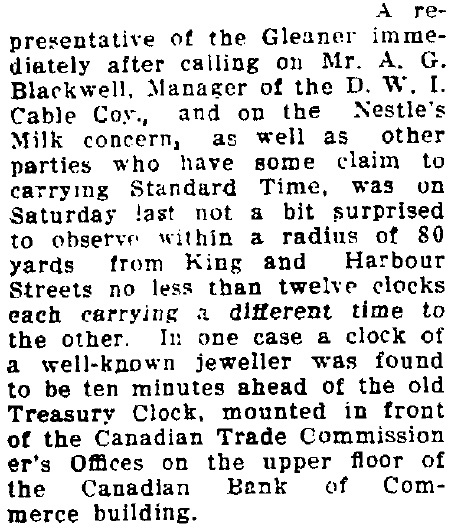 A quiz in the Gleaner on August 6, 1961, about identifying things around Kingston, perhaps raised the possibility that the clock from the old Treasury Building might still have been around nearly a century after it arrived in the city!